While, of course, each writer is entitled to their own view as to movies, people, circumstances and so on, what most stood out in their article were the gratuitous attacks on a religion of which they know nothing other than from the rumor mill. I read your article by David Ehrlich, Kate Erbland and Anne Thompson on “Mission Impossible.” While, of course, each writer is entitled to their own view as to movies, people, circumstances and so on, what most stood out in their article were the gratuitous attacks on a religion of which they know nothing other than from the rumor mill. Maybe they have no faith or religion of their own and so trashing another’s means little to them, but we sadly live in a climate in which inflammatory language can instantly spread hate throughout all forms of media, capable of exploding into serious threats and violence. 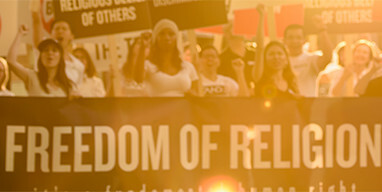 To that end, STAND, Scientologists Taking Action Against Discrimination, repeatedly warns media outlets that their bigotry and hate will inevitably put lives at risk. But one example of the hatred triggering violence is a young woman who drove her car through the front doors of our church in Austin, Texas, narrowly missing the receptionist’s desk and smashing furniture into the childcare room, showering glass in all directions. Fortunately, at 9:00 p.m. that room was empty. For actual information on Scientology, Scientologists and those who work with the Church, please go to Scientology.tv and find out for yourself.